Former Conservative MP Rahim Jaffer has been much in the news the past several months for drunk driving and possession of cocaine charges yet receiving basically a slap on the wrist for the events that occurred that late Sept. 10 night last year. The Toronto Star has an excellent article in Thursday's paper detailing the events of the night and how he eventually ended up getting busted by Caledon OPP during a routine ride check. The above photo is the spot where Rahim Jaffer was busted in Palgrave. An excerpt of the article: Constable Kim Stapleton was going off shift and left her fellow officers at the RIDE program in Palgrave at 12:45 am. 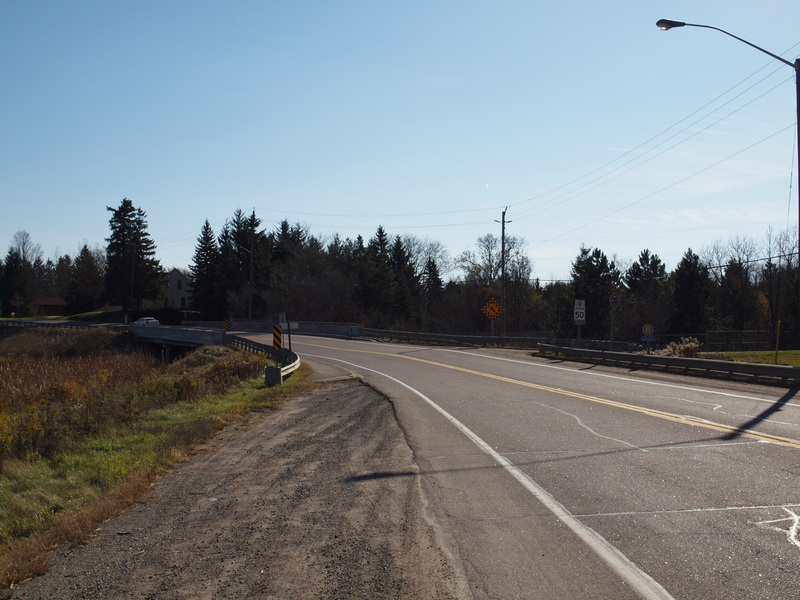 A diligent officer, she activated her mobile radar detector as she drove south through Palgrave on Highway 50. The speed limit in the small town was 50 kph. The detector beeped and clocked the approaching Ford Escape SUV at 93 kph. “I’ve got a high miler here,” Stapleton said into her radio, turning on her lights. She told Sgt. Mike Garant back at the RIDE program that she was pulling over an SUV. Walking up to the car, the female officer shone her flashlight in at the driver. Rahim Jaffer looked back. Stapleton smelled alcohol and asked Jaffer several questions. “I smell alcohol, I am doing an alc test,” Stapleton radioed to Garant. Pulling a roadside breathalyzer unit from her cruiser she administered the test, which showed positive for alcohol. Stapleton radioed for a male officer to join her because she was arresting Jaffer. Stapleton called for a tow truck to take away the Ford. Sgt. Garant sent an officer down to Stapleton’s position. The officer searched Jaffer and found a bag in his pocket, which turned out to be cocaine. 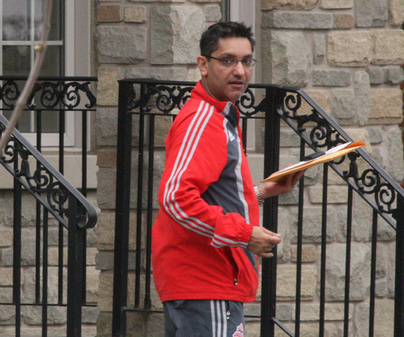 The police officers looked inside Jaffer’s car and found a stack of Helena Guergis’ business cards. They drove Jaffer to the Caledon East OPP detachment and administered a blood alcohol test, which showed a level above the legal .08 level (police have not released the level or amount of cocaine). In Ontario, the penalty for being found guilty of driving above the legal level is a one year licence suspension, a $1,000 fine and a requirement to install an ignition lock that prevents a vehicle from starting unless the driver provides a sober breath sample. Officers at the OPP detachment conducted a strip search of Jaffer, which police say is standard protocol when drugs are found on a person. Stapleton charged Jaffer, 38, with driving over the legal blood alcohol limit, speeding 93 kph in a 50 kph zone; and possession of cocaine. He was released from the station around 6 am on Friday, Sept. 11.